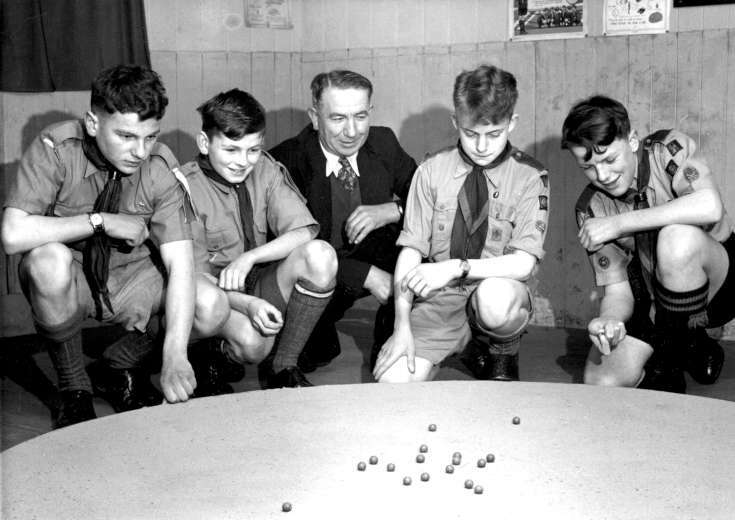 With the Good Friday 1955 Marbles Championships fast approaching the Slaugham Scout team was interrupted from a practice session to take part in a press photograph. With coach Arthur Chamberlain in the centre, the team, from the left, comprised Arthur Feist, Barry Ray, Richard Hayler, and Tom Chamberlain (captain). Select Open Document for a newspaper cutting.